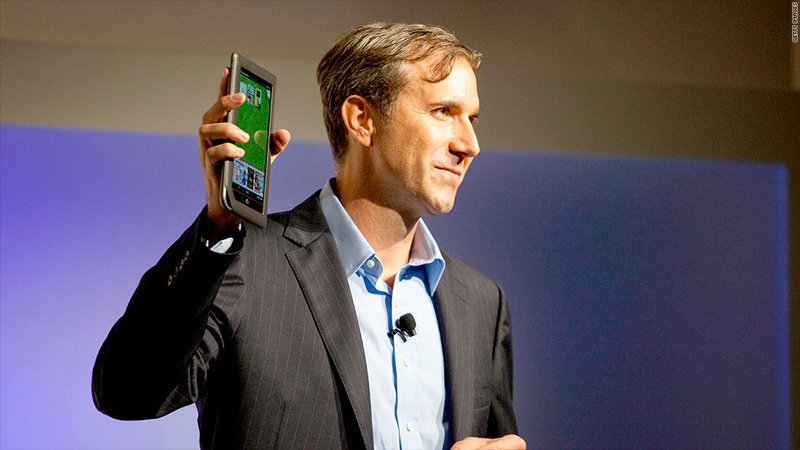 Outgoing Barnes & Noble CEO William Lynch shows off the company's NOOKcolor device at an event in 2010. Barnes & Noble announced Monday that CEO William Lynch has resigned, as the ailing bookseller struggles to find its place in a rapidly changing industry. Lynch is departing after a three-year tenure in which Barnes & Noble was battered by the shift away from brick-and-mortar bookstores to e-commerce and digital products. The company has tried to compete in the tablet market with the likes of Amazon's (AMZN) Kindle and Apple's (AAPL) iPad, but sales of its Nook tablets have disappointed, falling 34% in the most recent quarter. Overall, Barnes & Noble (BKS) reported a quarterly loss last month of $118.6 million, nearly double its loss from a year prior. Revenue fell 7.4% to $1.3 billion. Lynch's resignation is effective immediately. Barnes & Noble spokeswoman Mary Ellen Keating said Monday that the company "is in a transition period, so we have we have no immediate plans to name a new CEO." Chief Financial Officer Michael Huseby has been appointed president of Barnes & Noble Inc. and head of the company's Nook division. Huseby and Mitchell Klipper, head of Barnes & Noble's retail division, will report directly to the company's executive chairman, Leonard Riggio. Barnes & Noble shares sank 4.3% in after-hours trading Monday.